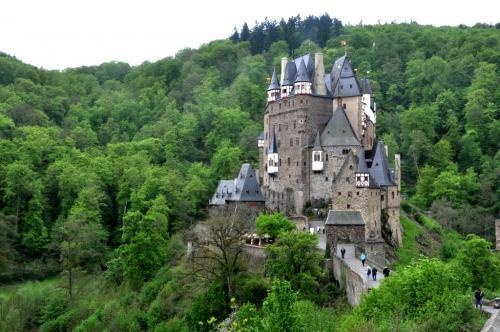 World class cities, medieval castles, Alpine foothills, 500 year old cathedrals, World Cup soccer, fresh Brötchen, monasteries, museums, music and more. There is just so much to enjoy in Germany! The University of Arizona offers twelve German exchange programs, which means you can study in the north, south, east or west of Germany, and still pay the equivalent of Arizona tuition. To make the experience even more affordable, there are numerous scholarships available to UA students wanting to study in Germany. Students from every UA major can find a university in Germany to suit their academic interests. Likewise, each campus offers a pre-semester German course and orientation, which helps exchange students to integrate into their new surroundings. Take a moment and learn more about the many opportunities waiting for you. Information about all 14 programs in German can be found at the UA Office of Study Abroad and Student Exchange. Start from the Prospective Student page to get started finding an experience that's right for you and get in touch with the Director of the Departmental Study Abroad Programs. Total-immersion summer study abroad program in German language and culture for students with only one year of university-level German. Courses are taught at the 200, 300, and 400 levels in German by UA faculty and instructors. Classroom work is integrated with excursions in and around the city of Leipzig. Students live in German dorms. The University of Arizona’s Distinguished Professor Albrecht Classen, an expert in Medieval Studies and the Renaissance, leads this educational tour through Europe, taking students to sites which reflect the structural, social, cultural and political impact of the Middle Ages on Europe. Participants from all academic disciplines are welcome!